Chemistry and physics share a common mathematical foundation. From elementary calculus to vector analysis and group theory, Mathematics for Chemistry and Physics aims to provide a comprehensive reference for students and researchers pursuing these scientific fields. The book is based on the authors many classroom experience. 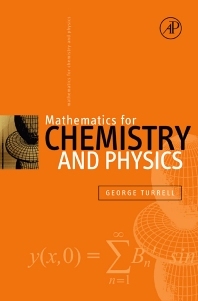 Designed as a reference text, Mathematics for Chemistry and Physics will prove beneficial for students at all university levels in chemistry, physics, applied mathematics, and theoretical biology. Although this book is not computer-based, many references to current applications are included, providing the background to what goes on "behind the screen" in computer experiments.